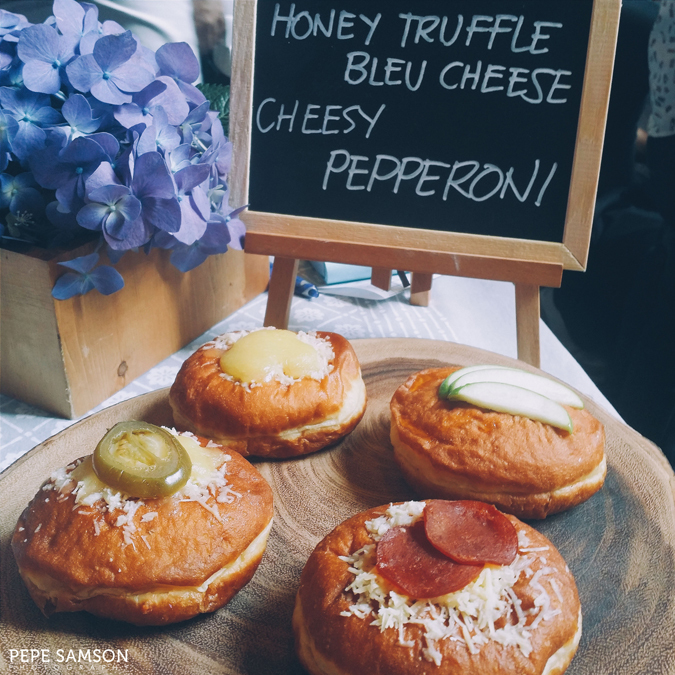 Last Saturday, foodies flocked to Signa Designer Residences in Makati as Valero Eat Street lured everyone with delicious treats. 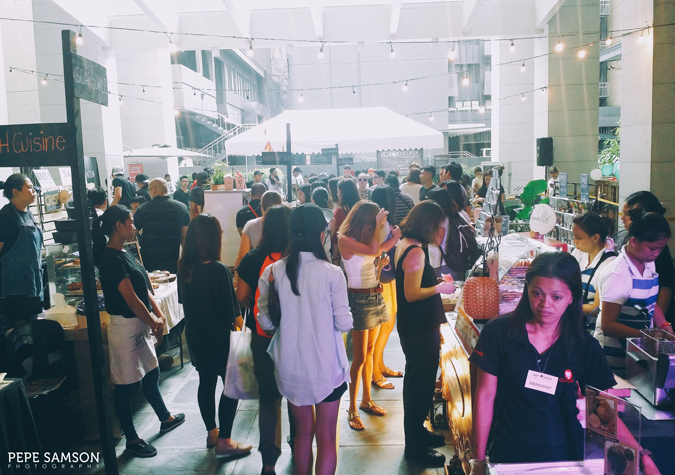 From burgers, roasts and Spanish jamon to cakes, coffee and booze, the food fair showcased some of the best home-based sellers and restaurants in Manila. 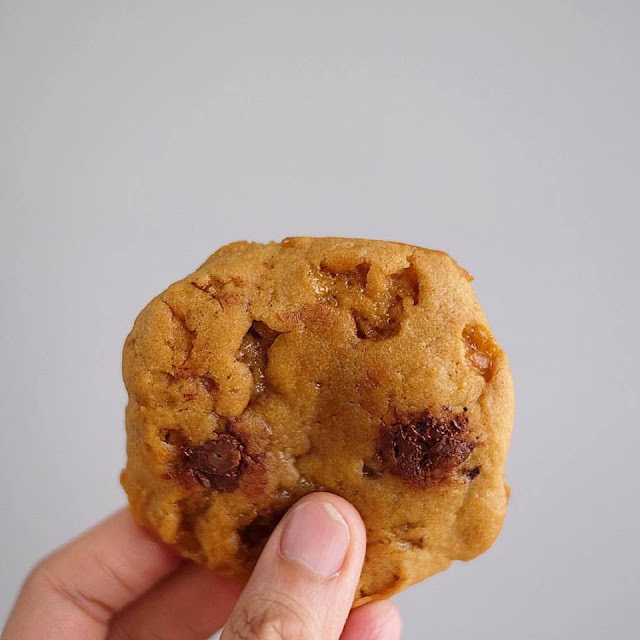 After trying on a couple of food items (and adding 3 inches to my waistline), I’ve picked out my five most fabulous finds. Enjoy! Love coffee? 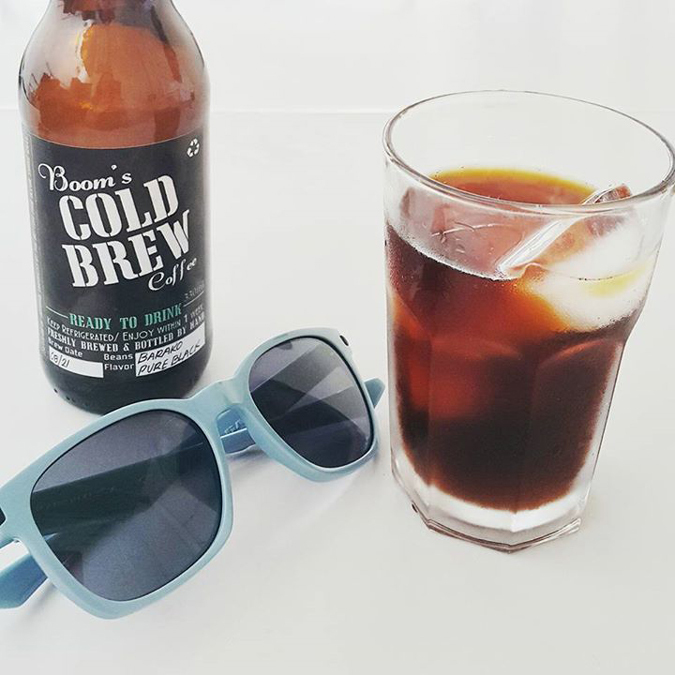 Boom’s Cold Brew can give that boost and jolt of energy you’re craving for. Taste-wise, the coffee is balanced yet strong. 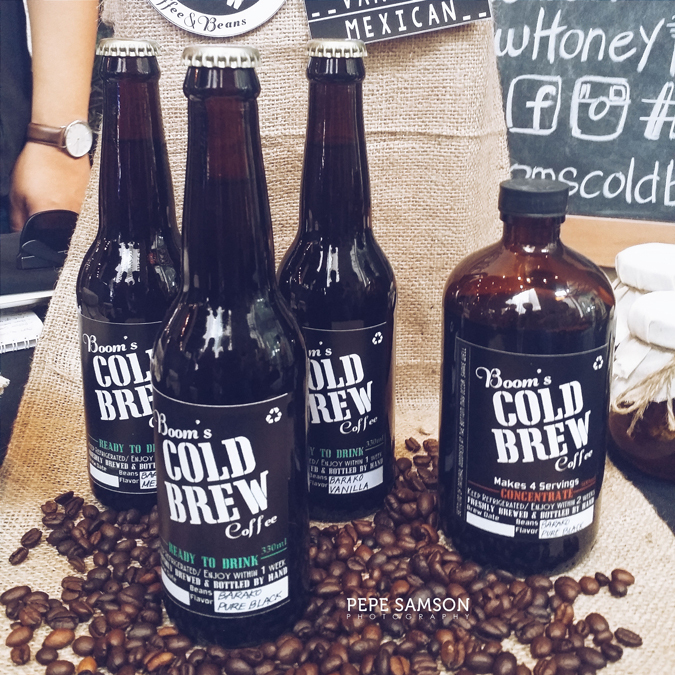 Try the Barako Mexican: barako coffee with a hint of spice and cinnamon. 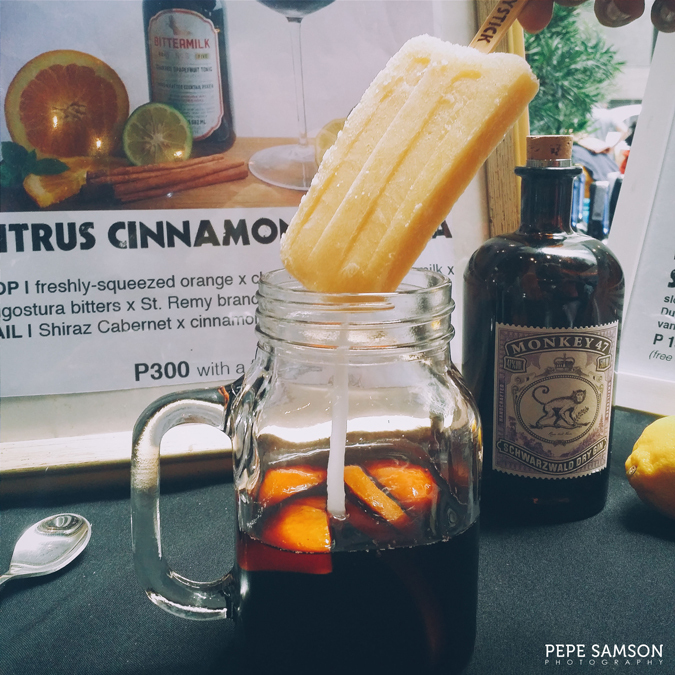 The subtle aftertaste is delicious enough to make you want to gulp more and more. 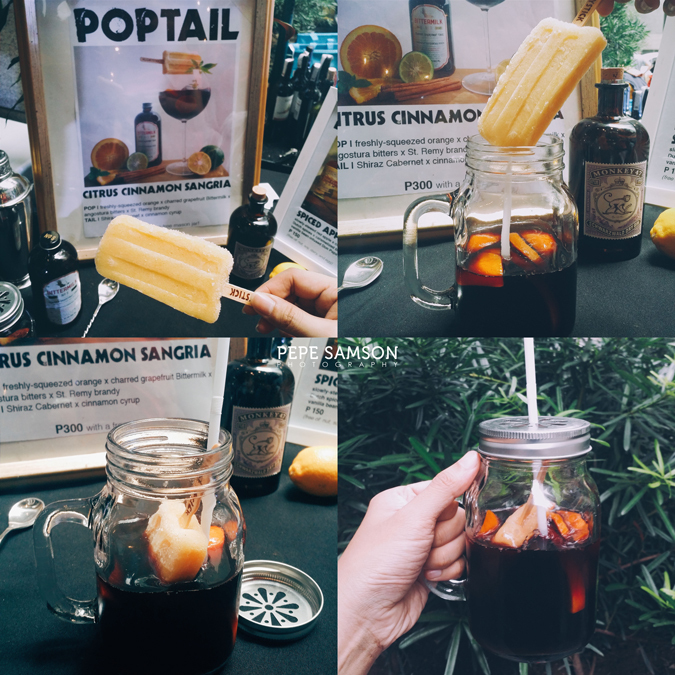 For purists, there’s a plain Barako variant, and for those craving for something sweet, a Barako Vanilla. 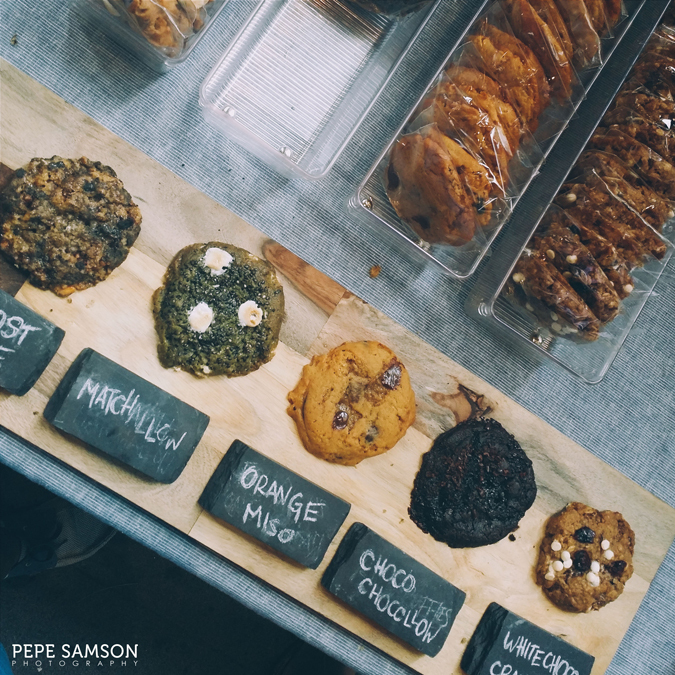 While Scarsdale’s display of sweet donuts looked tempting, I was more enticed with their selection of savory treats! 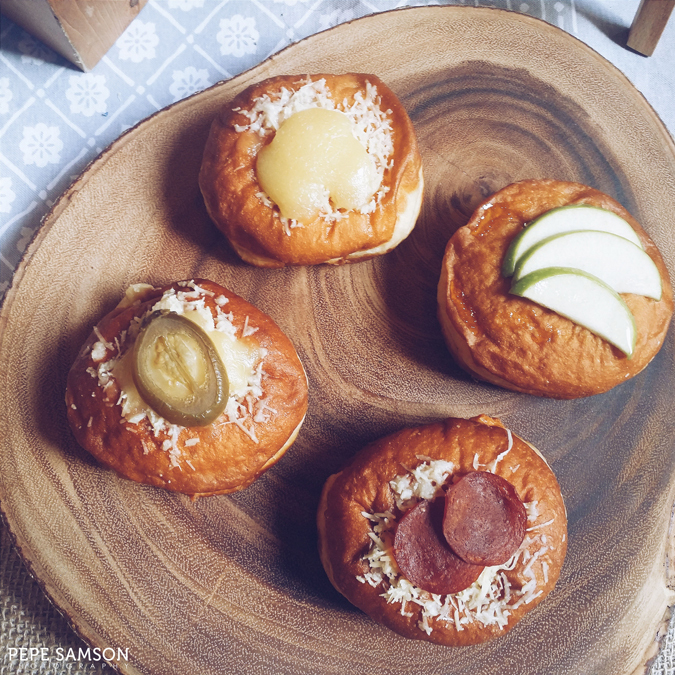 Naturally I was hypnotized towards the Honey Truffle Bleu Cheese—topped with sliced green apples, it's a creamy, sweet, salty, aromatic donut that showed off delicate, balanced flavors. No, it’s not just because of the truffle, my favorite. It’s also because of the blue cheese, my second favorite, LOL! 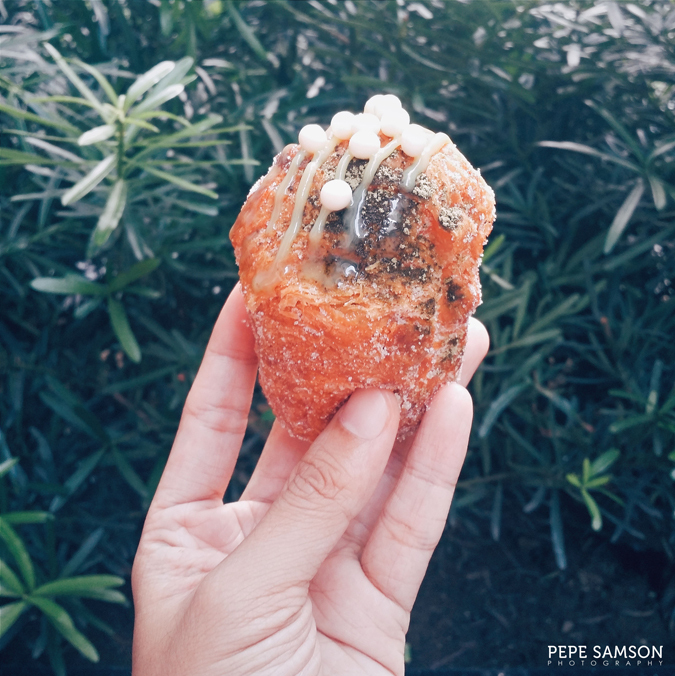 The one who started the cupcake fad in Manila, Cupcakes by Sonja, has set out again to introduce us to a new sweet creation: the crupcake, a marriage between the croissant and the cupcake. 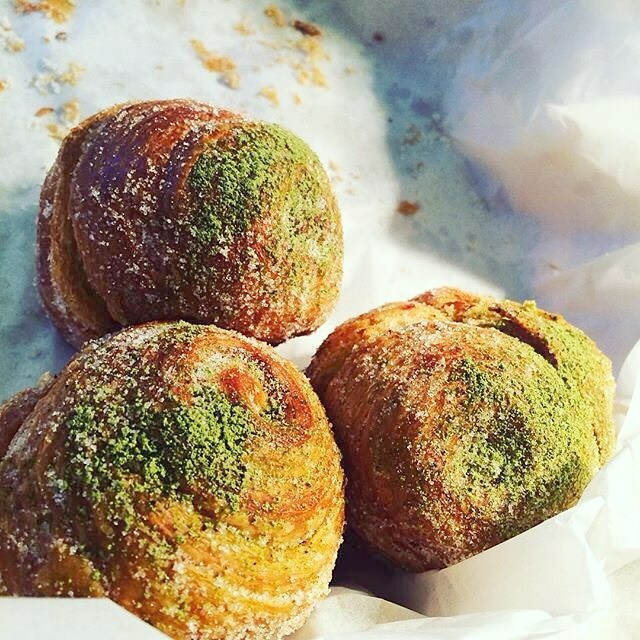 Shaped like a cupcake, it has the crisp and flakiness of a croissant, complete with all the sugar sprinkle and toppings. I liked the Green Tea variant, which came with a green tea cream filling and white chocolate balls as toppings. 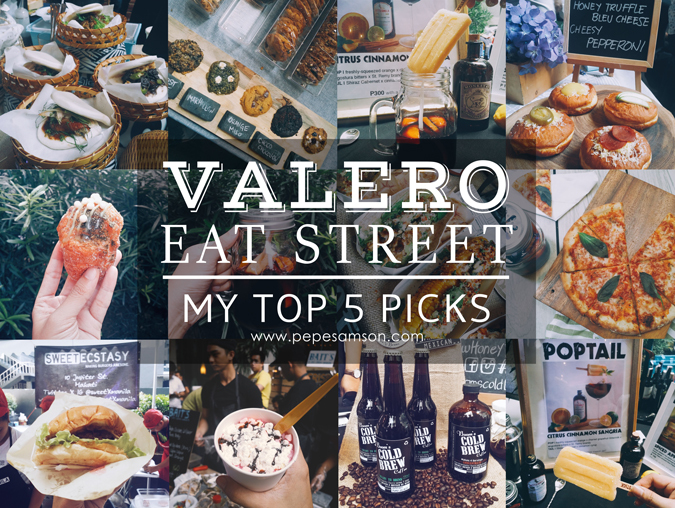 Did you visit the Valero Eat Street? What were your favorites?